The Healthy Work Campaign has assembled important facts and figures in the field of occupational health to support your learning about unhealthy work and to help facilitate your efforts to promote healthy work. You are encouraged to download our “Stats to Know” (which goes beyond the key statistics you see on this page) and share it online and wherever you like. 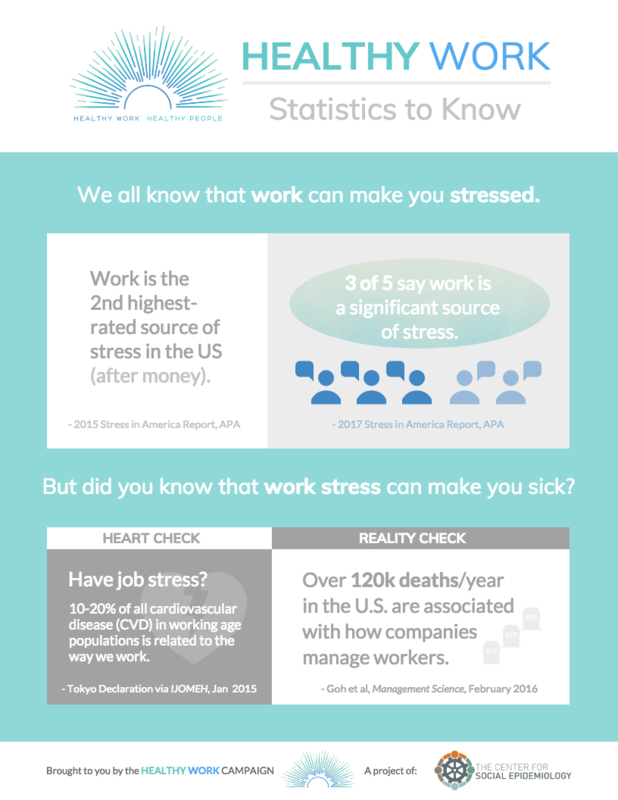 These statistics are just some examples from over 40 years of scientific research showing the impact of work organization and work stressors, on the health and well-being of working people. 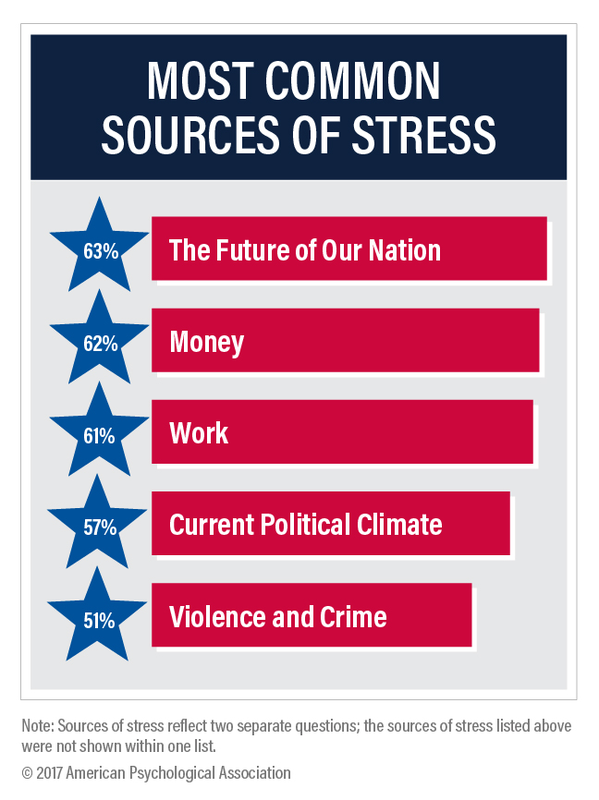 We hope these statistics will be helpful as you promote healthy work in whatever role you are in (as an employee, independent contractor, business leader, labor leader, educator, or public policy advocate). 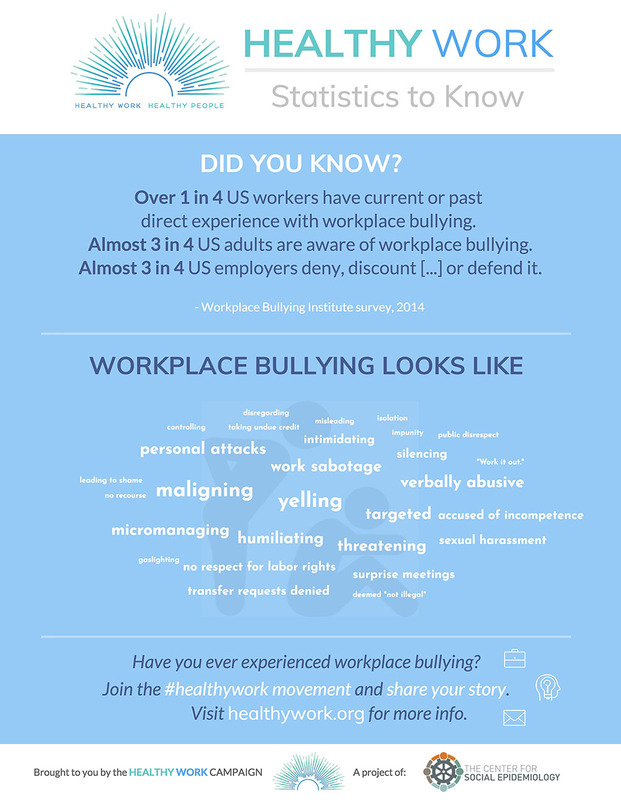 The Healthy Work Campaign has also created #HealthyWork infographics to distill and visualize our most important #healthywork statistics for you to share easily in your work, your organization and your community. 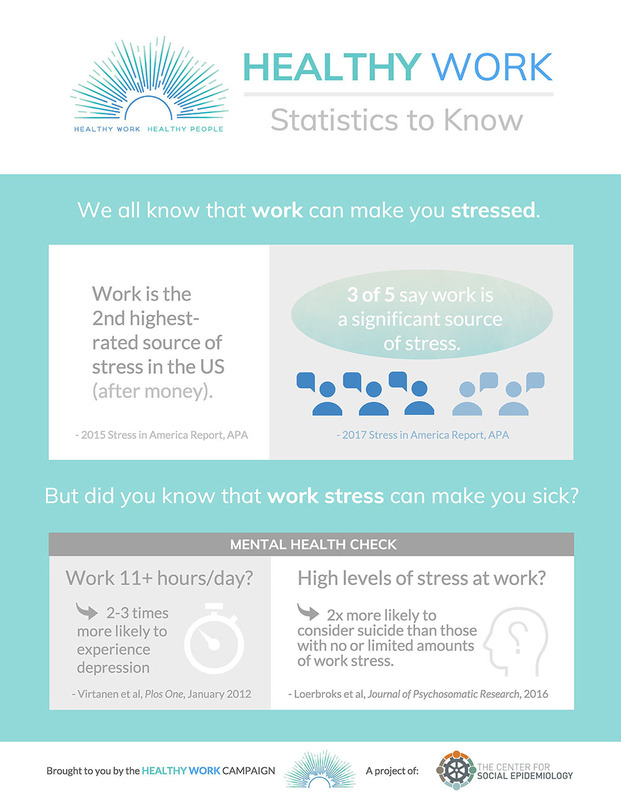 You are welcome to share these infographics on social media, in your wellness programs, and at work. Click infographs to view enlarged.